There is growing scientific evidence which confirms that certain types of art, such as soothing nature images, can actually reduce pain, anxiety and stress. 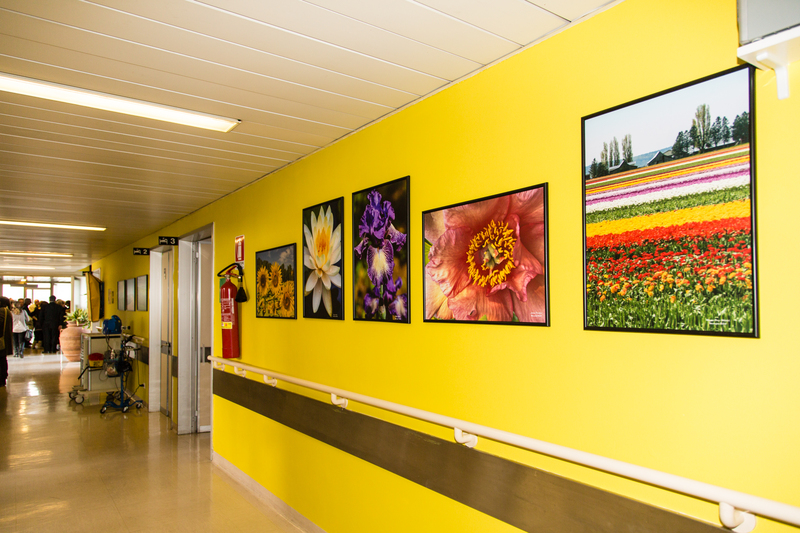 Based on this knowledge an increasing number of hospitals are decorating their walls with art as a way to enhance the well-being and recovery process of their patients. Art installation in Cardinal Glennon Children’s Hospital in St. Louis, Missouri. 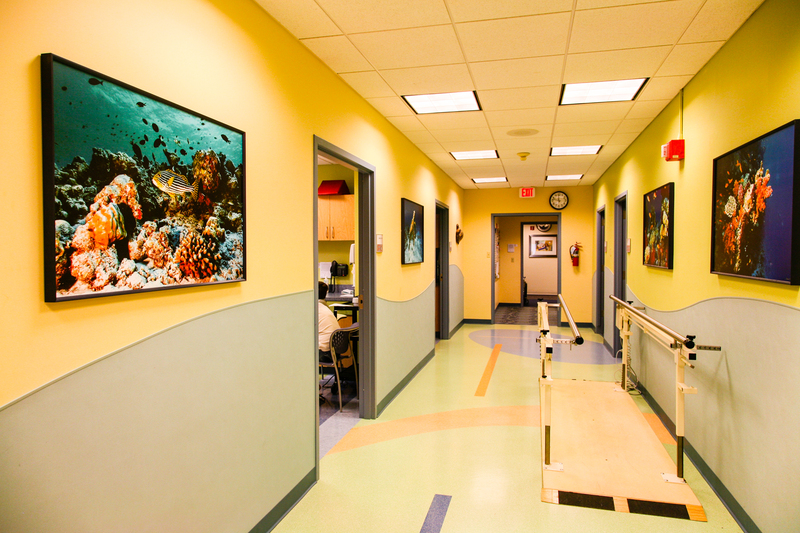 The Foundation for Photo / Art, founded by photographer Elaine Poggi, has placed more than 5,000 nature photos in more than 300 healthcare facilities on seven continents to create healing environments. Elaine Poggi is an extraordinary nature photographer who lives in Italy. I first met her when I served as a juror for the annual Manhattan Arts International “The Healing Power of Art” exhibition and selected one of her exuberant floral photographs for the exhibition. When Poggi visited her mother in the hospital while she was being treated for non-Hodgkins lymphoma, she couldn’t help but notice how dreary the hospital was and the negative impact this had on patients, employees and visitors. So she brought her beautiful nature-inspired photographs to make her mother’s room more cheerful. San Giovanni di Dio Hospital in Florence, Italy. The Foundation for Photo/Art in Hospitals donated 28 photographs sponsored by St. James American Episcopal Church. Poggi is proud to say that since its inception 13 years ago, the Foundation has placed more than 5,000 nature photos in more than 300 healthcare facilities on seven continents. The subjects in the photographs range from vibrant and colorful florals to peaceful tropical beaches and the glorious Tuscan hills. Photograph by Roberta London, one of the participants in the Foundation’s Program. Through the Foundation’s Contributing Photographers Program, Poggi invites photographers from around the world to submit their art work for placement in hospitals. 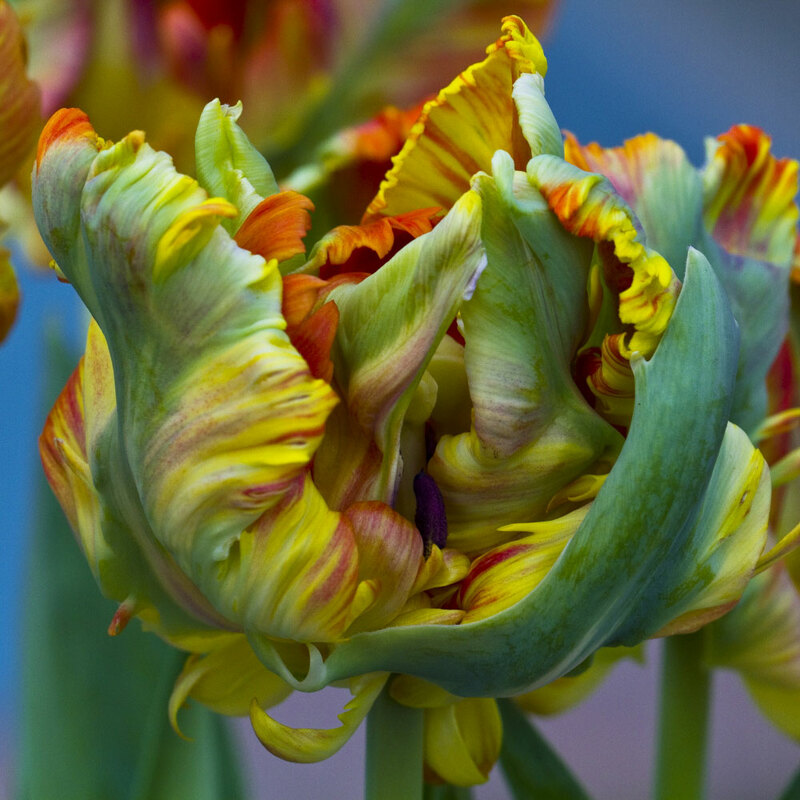 One photographer who participates in the program is Roberta London, whose macro photographic images capture the life-affirming spirit of Florida’s brilliantly colored flowers. I am honored that she is also member of the Manhattan Arts International Featured Artists Program. The Foundation for Photo/Art in Hospitals accepts tax-deductible donations. Photographers who want to learn how to contribute their art to the Foundation will find details on the website. Visit The Foundation for Photo/Art in Hospitals’ website: www.HealingPhotoArt.org.